This is an economically priced Portuguese leather breastplate which comes complete with decorative metal ornaments and buckles in a silver or gold colour. There are a choice of colours for the leather; black, brown or tan. In Full size and Cob. 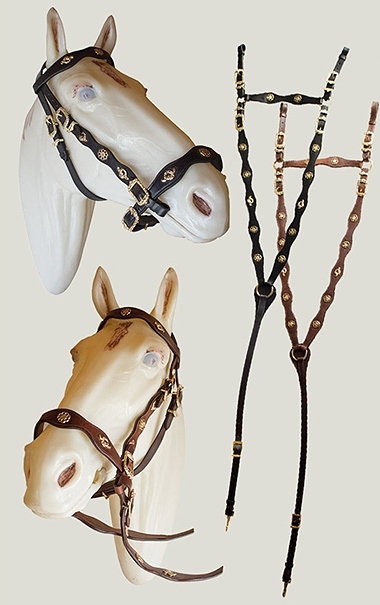 Note, we have matching bridles available.